How Do Our Chakras Affect Our Wellbeing? How do our chakras relate to our health and wellbeing? Our Chakras, or energy centres, play a very important role in the regulation of our physical, emotional, mental and spiritual health. When our chakras are aligned and balanced, the energy is able to flow more easily and effortlessly through our body and therefore we are able to function to our fullest potential. 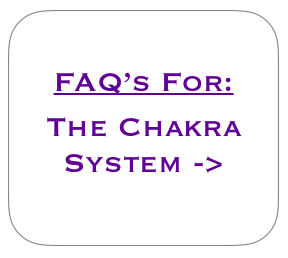 If however, our chakra system becomes blocked, our energies can experience difficulty in flowing smoothly and easily around our body and thus, we may experience some physical, emotional, mental or spiritual ailments as a result. There are many ancient texts and important philosophical teachings which speak of the vital importance of our chakras and their role in our health and wellbeing and we have seen this to be true in our own lives many times over.